4:57!!! Great weather and a great race. 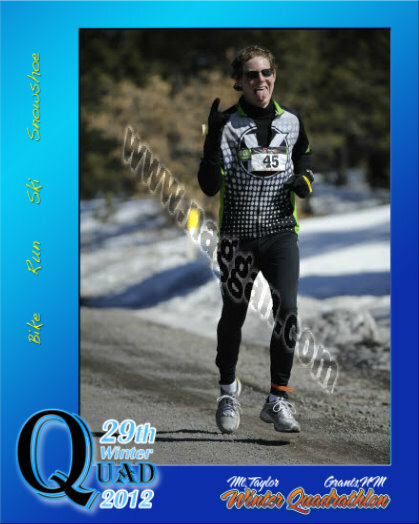 Took 2nd in my age group and 23rd overall. The bike started great. I held the front group through town and was proud to keep Jason in close sight for the first few miles. Around the prison, the first and 2nd splits occurred. I was dropped by both and was cursing riding alone up the hill. Passed by a couple other guys, but linked up with the 3rd group. Struggled hard to stay with that group, but absolutely refused to drop out of the draft. Maxed my heart rate for 5-10 min up the 2nd climb. Found a big guy to draft on the downhill and caught a little breather there. Final climb was great. Stayed with the group and basically hugged the female winner's rear tire to the top. I was completely exhausted at this point and my feet were frozen. Transition was fairly quick but forgot to take out bike tools so wasted a few seconds running back to drop them off. Feet didn't thaw until 2 miles into the run when they started tingling. I had to put the breaks on for the up run, ski, and shoe because I could feel my legs tightening up and ready to cramp. Slammed a GU on all transitions, but couldn't get anything down while pushing hard. Found someone who was paced well at about mile 2 on the run. Had to let him get away on the climb because it was too much for my legs. Courtney from AMRC gave me a little cheer at the ski transition which I certainly appreciated - everything helps! 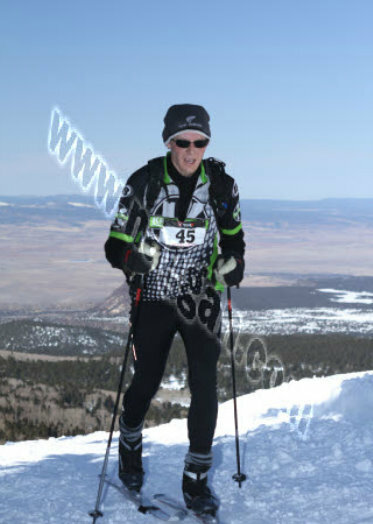 I was surprised that I lost a place on the ski because I expected to be one of the quicker folks on that section. My camelbak was frozen at the run/ski transition though so I had to rely on water stations for the entire upper mountain section. 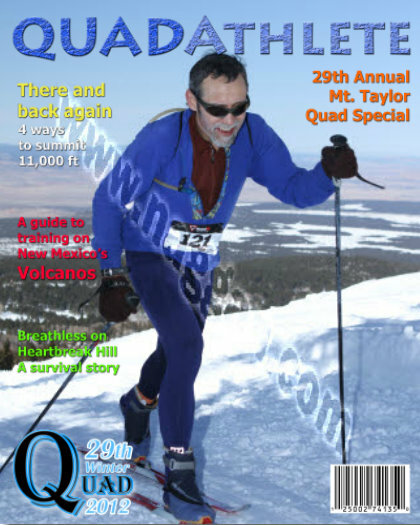 I couldn't run the snowshoe because as soon as I started jogging quads, hamstrings, and calves all started to seize up. I was passed by at least two on the shoe up, but ran past Tom from AMRC (who summitted 7 seconds ahead of me!) and one other guy on the down shoe. Cramped on the way down but still managed to jog some of it. Ski transition was slow, but raced the downhill well. Passed by someone on skate skis on the flats but I repassed him on the 2nd hairpin when he crashed. Clean run with some good tucking at the top. Rehydrated on run transition. The volunteers were kind enough to give my hamstring a mini-massage while I finished up tying my shoes. The final 5 mi run was brutal and nearly wiped out a couple times on the steep. Held the gap on the guy ahead of me but still got blasted by a real runner at about mile 3. I looked at my watch at the halfway water station and realized that I could pull off a 5 hr race if nothing went wrong. That helped me push to the bike transition. The volunteers had my bike waiting, my shoes by the bench, and my pack ready. 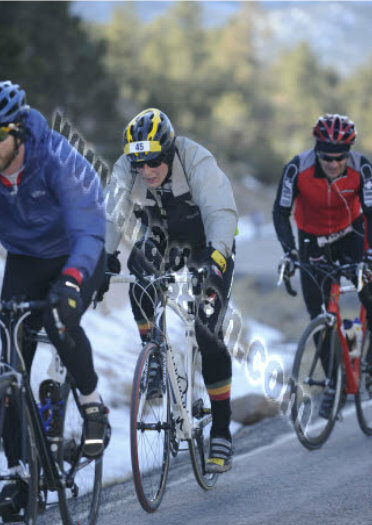 Didn't bother with the jacket, bike tools, or extra layer of socks and just jumped. Thanks for all the training fun Jason!